People visit to see the 10,000 hydrangea plants in bloom. 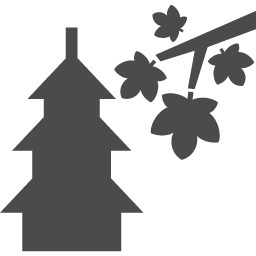 Yata-dera 「矢田寺」Temple is one of the Shingon sect temples in Yamato-Kooriyama, Nara. 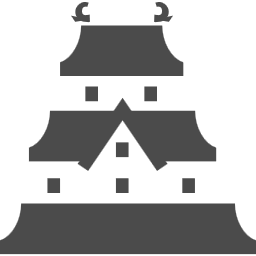 It was founded in 679 by the order of Emperor Tenmu. The approach to the temple, After walking up several winding stairs among red-capped Jizo statues, you come to sub-temples, which used to serve as housing for the monks. Now, they offer tea and vegetarian meals in peak season. The path leads you to the main hall, which is surrounded with the gardens and pond. 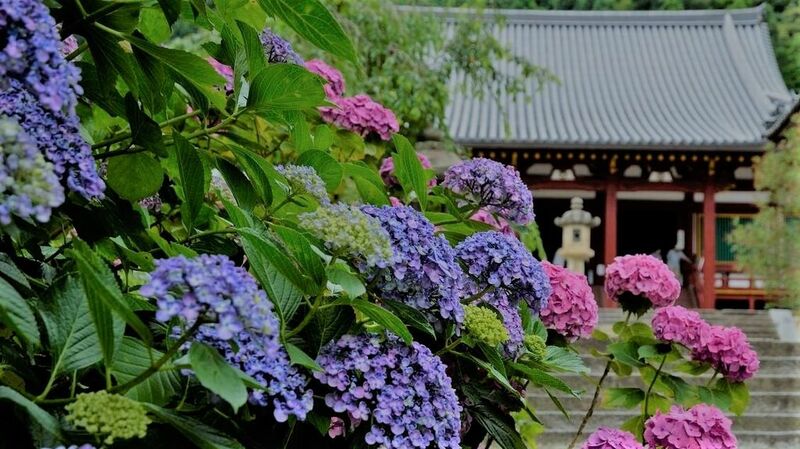 Yata-dera is well known as Ajisan-ji (Hydrangea temple) because there are about 10,000 hydrangeas over 60 varieties. They bloom along the path leading to the temple, and stand clustered in a garden laid out on a slope to the left of the path. Hydrangea does not change their form through the heavy rain, it continues to bloom while changing the various color of the flower. So it is certainly that visitors can enjoy the beautiful landscape of the hydrangea during the season (mid-June to mid-July). A whole area become very lively during the season with visitors and food stalls. Access : From Kintetsu kooriyama station on the Kintetsu Kashihara line, Take the Nara Kotsu bus towards Yata-dera mae direction and get off at the last stop.